Our repossession offices cover the entire state of California. 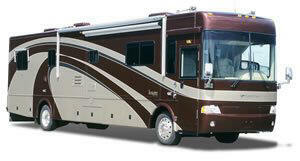 Click below to order a repossession on your RV or Luxury Motor Coach. California laws regarding repossession of Motor Homes, Recreational Vehicles, and Luxury Motor Coaches. Recovery: Peaceful repossession permitted on recreational vehicles or motor homes. Repossession Deficiency: Permitted in California on recreational vehicles and motor homes. California PLATES: Remain with repossessed recreational vehicle, motor home or repossessor.